#FoodieFriDIY – Double the pleasure! Double the fun! Two sets of features playing catch up from pre-vacay party. It’s #FoodieFriDIY time! I’ve doubling up on the features this week. Double the pleasures! Double the fun!! I have to make up for missing last week’s features and then this week’s features. TWICE THE FEATURES!! We are back from Florida! It was a relatively quick trip there and back. Our time was split between his dad and step-mom then his mom and step-dad. Yes. I’m so lucky to have no one but TWO – count ’em TWO – sets of in-laws. Lucky me!! We did have a good time, though. There were fun times, pizza parties, and antiquing to be had by us and some poor people who just went along because they did. I’m not sure they really wanted to so much as wanted to spend time doing what we liked for the day. Surprisingly enough, we’ve been collecting this patter for a few years now and it takes a trip to Florida to find some pieces in colored glass. We found a few key pieces and a large, red ash tray and a medium, amber bowl. We were thrilled! This makes up for the fact that we were duped by the reproduction that we were suckered in to. C’est la vie! Now, on to the party! To help this fabulous party grow, please place a button on your sidebar or somewhere in your link up post so people can see that you’re partying with us at #FoodieFriDIY. Visit A Dish of Daily Life / Michelle Nahom’s profile on Pinterest.Visit Petro Neagu @The Seaman Mom’s profile on Pinterest.Visit A Kitchen Hoor’s Adventures – Christie Campbell’s profile on Pinterest. So, make sure you stop by their blogs, check out their boards, and see who they featured this week. Since I missed last week’s features, I’m throwing up (not literally) some farm fresh recipes from two weeks ago while I was on vacay in FL. Since it’s almost summer, I thought I’d inspire your summer time food and DIY creations with some summertime crafts, food, and DIY! TOP 10 ESSENTIALS FOR THE ULTIMATE 4TH OF JULY PARTY from The Coconut Head’s Survival Guide – Something to get your 4th start off right! BANANA SPLIT FRUIT KABOBS WITH DIP from All She Cooks – It’s summer! Strawberries are in season and delicious. TRIPS: Car Games for Kids from C.R.A.F.T – Creating Really Awesome Free Things – So you don’t go crazy in the car on those long road trips. Peach Habanero Jam from Best of Long Island and Central Florida – Summer = jams and jellies to me. And this one has a sweet kick! Blueberry Mint Sorbet from A Simple Pantry – Cause you need something to cool you off! USA Map String Art from Domestically Speakin – You can make the whole map or find the states you’ve visited and do the same. Easy Tomato Ice Cube for Dogs from Hello Nature – The pups gotta cool off, too! Free Summer Activities for Toddlers from Krystal’s Kitsch – To keep them busy and out of your hair this summer! This is a food & DIY party…please make sure you link up a delicious food recipe or new DIY. 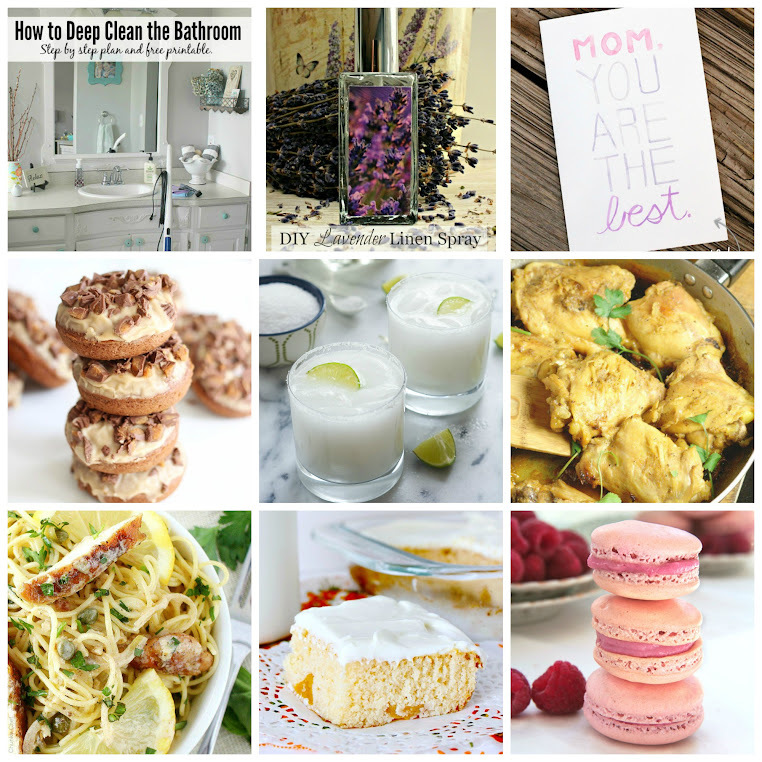 By linking up to #FoodieFriDIY, you give our hosts permission to use your photos in features and/or roundups. You will of course be credited with a link to your blog or a specific post featured. By linking up with us, you also agree to be notified of future link parties. While we love repeat performances, we LOVE to see the new recipes and DIY you’ve whipped up this week. Please make sure to link up a new link each week. Also, please make sure your link is family appropriate. We don’t want to be too risqué in our links. You’re most welcome, Catherine! It looks fabulous! Can’t wait to see what you link up with this week. Thanks so much for featuring my Fattoush Salad. Such a lovely surprise on a Friday morning. You’re welcome, Leia! It looks amazing and perfect for summer. Thanks for featuring our Peach Habanero Jam Christie. I love seeing all the wonderful creations presented here! Thanks! I love peach jam! And adding habanero just makes it sound insane.